So my customer success for CloudSpokes on Heroku went live today with a link in their developer newsletter. 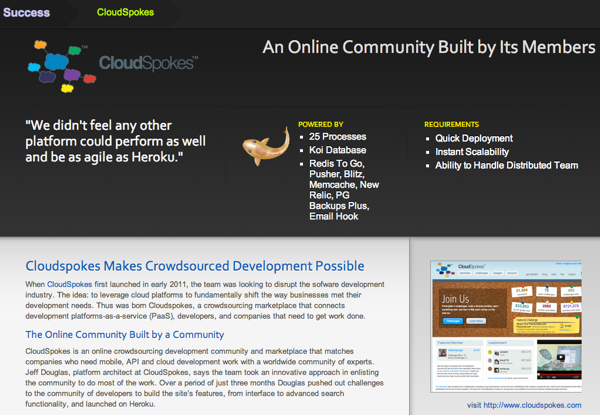 Pretty good stuff on how the CloudSpokes community members built the CloudSpokes site on Database.com and Heroku. We honestly don't think it would have been possible to do with any other platforms in such a short amount of time.